Jeanie Ellis - Scrapbookingmamaw : Koala T Crafts - I'm a Guest Designer! Koala T Crafts - I'm a Guest Designer! Hello, crafters! I'm so excited to share with you a card I did as Guest Designer this month for Koala T Crafts October Challenge Blog! I hope you will join us for this! A new challenge is posted every month. KoalaTCrafts is primarily a card making blog, but other type of paper crafting is welcomed too! KTC would like you to stick to one of the theme choices listed, but otherwise it's Anything Goes! They're all about the fun of creating! 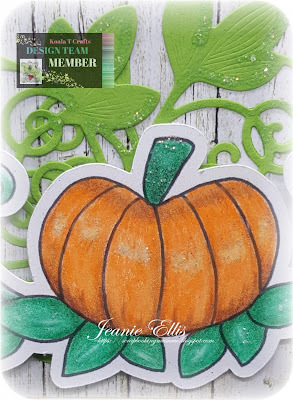 For my first card as GDT, I used the Pumpkin Ivy image from Koala T Crafts store. I had so much fun coloring this image! I also have a process video on my YouTube channel (link here for video). Here is my card using the Pumpkin Ivy digital. All the details are on the video as to how I made this card. Below is a list of the Designers. Please go to each link to visit, subscribe, and leave a comment! 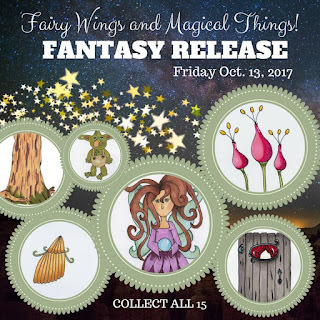 To qualify to win prizes for this hop, you'll need to VISIT, SUBSCRIBE, AND COMMENT on each Blog Link above. I started the blog hop at Paper a Crafting on a Dime. I love how you used the pumpkin with the wood paper background.